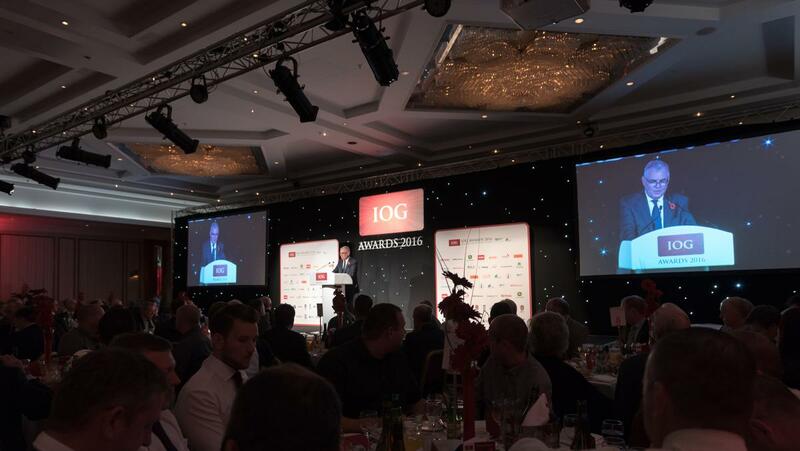 IOG Industry Awards - Nominations open 1 May! Nominate a deserving individual or team for their leadership, innovation and outstanding achievement across every aspect of groundscare. 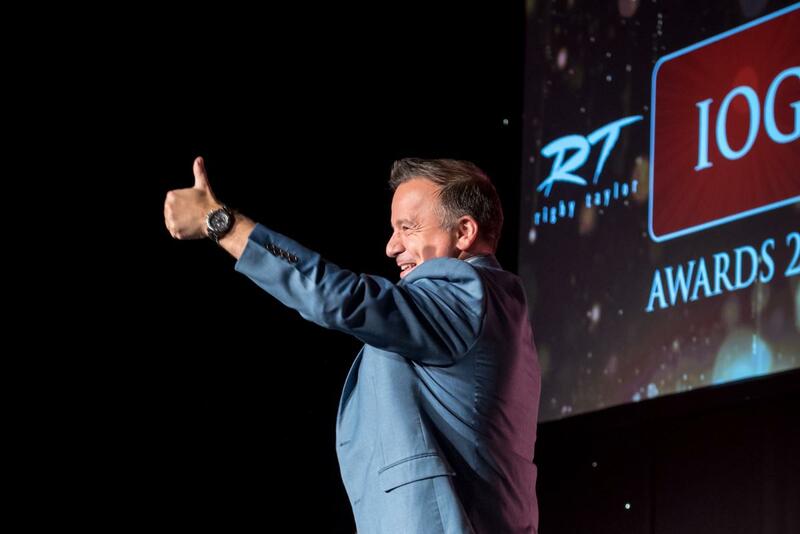 Click below to check out the 2019 Award categories. 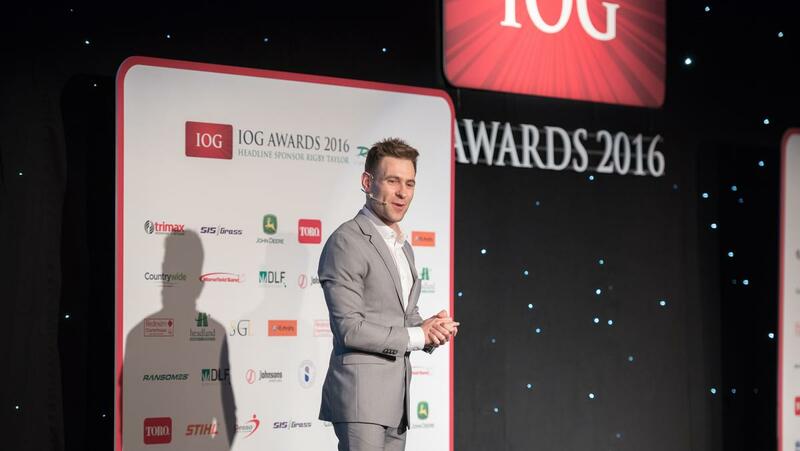 The IOG Industry Awards have now been in existence for 11 years. The 2019 Awards categories retain recent enhancements to entry criteria, which open them up to more potential winners from all sectors of society – at all levels of the sporting spectrum. Find the full list of categories and their criteria below. This category is open to anyone currently studying, or who has recently graduated from a course relating to the sports turf industry. Candidates can be studying, or have studied, a course full-time or part-time. This year the student must complete the application form and have this signed by their tutor or current line manager. Keywords: student, graduate, individual, full-time, part-time. Note: The application form is to be completed by the student. This award is open to anyone who is aged 23 years or under at the time of submitting their application. 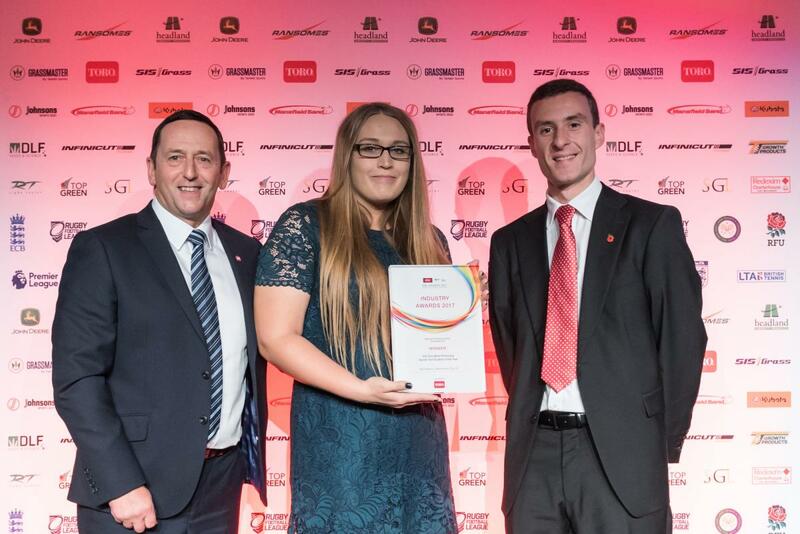 Young grounds staff are the future of our industry, so if you know a young person who deserves this award, perhaps a friend of colleague, nominate them today. You'll also help improve the status of grounds people in the UK. Keywords: young, individual, grassroots, professional, sport. 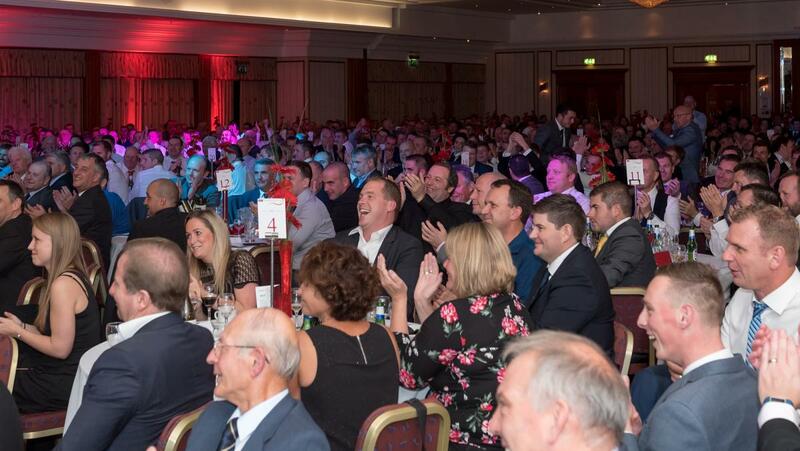 This award recognises the extremely valuable work of all those who voluntarily work on either grassroots or professional sport surfaces, in a local community or world-class sports stadium. This award raises the profile of volunteers, who devote their spare time to maintaining and improving our playing surfaces. Keywords: volunteer, individual, team, community, grassroots, professional. Open to all community sports clubs. This award will highlight the skills and quality of pitch maintenance by both willing volunteers and paid professionals. Has your local sports ground faced a recent challenge and has the groundsperson or team gone over and above to 'get the game on'? Your good deed for today – say thanks, nominate now. Keywords: community, grassroots, individual, team, facilities, sport. This award is open to grounds teams (including contractors, client-side management, trusts or community groups) that work at sites owned and operated by Metropolitan, Borough or Parish Councils. Nominees should have made a visible improvement in managing sports capacity, through reduced cancellations and integrated maangement to parks or state schools, leisure centres or small rural settings. Keywords: public, council, leisure, parks, schools, team. This category highlights the very best in fine turf management at bowling greens across the UK. This award is open for both willing volunteers and paid professionals and takes into account the surface condition, grounds budget and available resources. Nominate yourself, a bowling greenkeeper, or team today! Keywords: bowling, team, individual, volunteer, professional. This award is for a grounds team that applies essential maintenance work to effectively manage an artificial surface, enable frequency of use and meet the desired standard. The award is open to all levels of sport, whether volunteer or paid professional and takes into account the usage level, grounds budget, surface condition and available resources. Keywords: artificial, surface, volunteer, grassroots, professional. This award is for those who intend to, are currently in the process of, or have recently completed a key project – considering topics such as vegetation, wildlife, habitats, sustainability and the environment. It is open to all areas of sports turf and all sectors and includes developments in machenery and consumables. Keywords: project, individual, team, environmental, sustainable. 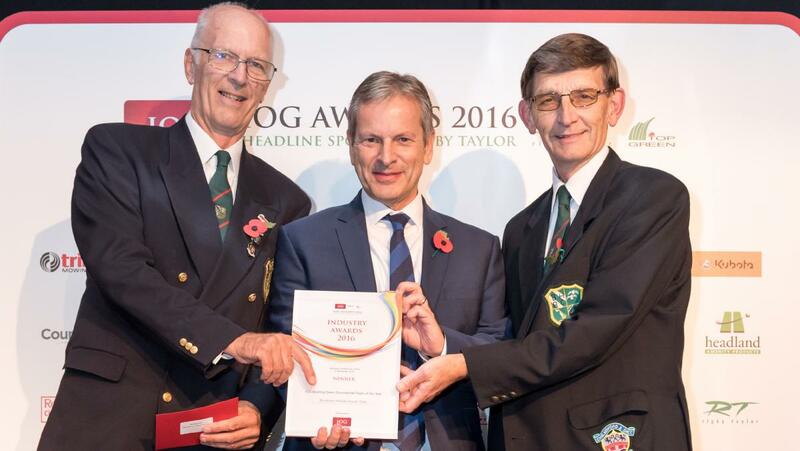 This team award highlights the very best in sports turf management at a cricket club or venue with paying spectators attending. The winning team should mostly be paid on a full-time basis as employees of the club or venue represented. The team must also have hosted at least one First-Class, list A or minor County fixture within the past season. Keywords: cricket, team, venue, first-class, fixtures. 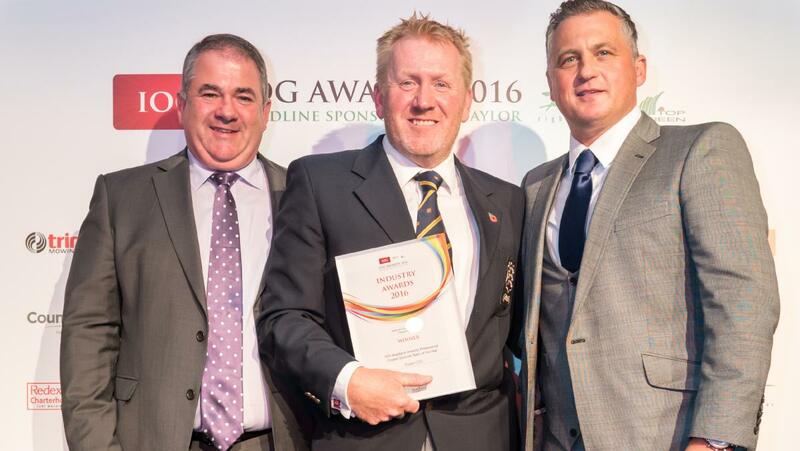 This team award highlights the very best in sports turf management at a tennis club, venue or organisation. This award is open to any team who manages or maintains outdoor tennis courts, be it a tournament venue, school, university, park or local tennis club, particularly offering natural grass courts. Members of staff should mostly be paid on a full-time basis as employees of the club, venue or organisation. Keywords: tennis, individual, team, venue, club, organisation. 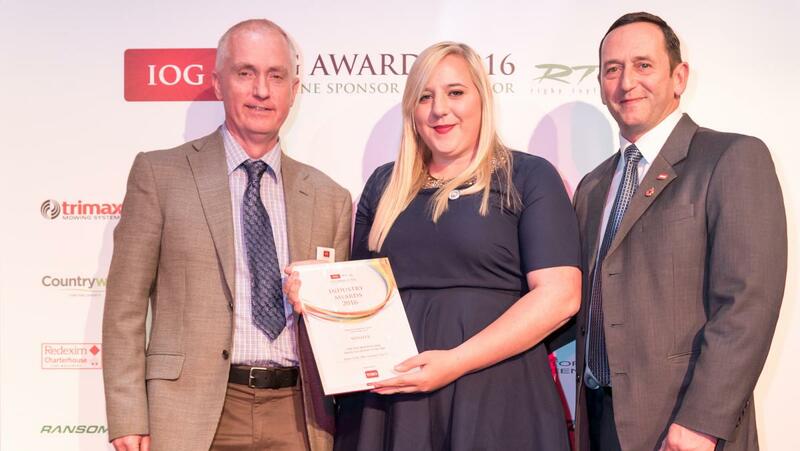 This team award highlights the very best in sports turf management at a horse racing venue. The winning team should mostly be paid on a full-time basis at the course. It is open to all venues that host events with paying spectators attending. Self-nominate or nominate a professional horse racing grounds team today! Keywords: horse, racing, team, professional, grounds. This team award highlights the very best in sports turf management at a rugby club within an existing league structure. The winning team should mostly be paid on a full-time basis as employees of the club represented and work at the stadium or training ground (or both). Open to all venues that host tournaments with paying spectators. Keywords: rugby, team, professional, league, club, grounds. This team award highlights the very best in sports turf management at a rugby club within an existing league structure. The winning team should mostly be paid on a full-time basis as employees of the club represented and work at the stadium or training ground (or both). It is open to all venues that host tournaments with paying spectators attending. Keywords: rugby, team, professional, union, club, grounds. (For English Leagues 1 & 2, National League, National League North/South, Scottish Championship & Leagues 1 & 2, Ireland & Wales Professional Leagues). This award highlights the very best in sports turf management at a club, inside the professional football leagues in England, Scotland, Wales and Ireland. The venue will host paying spectators. Keywords: football, team, semi-professional, grounds. (For Premier League, Championship and Scottish Premier League). 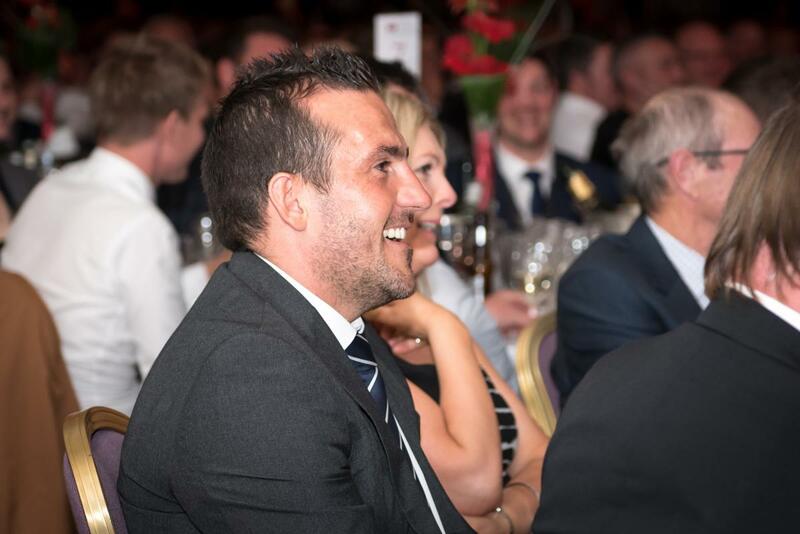 This award highlights the very best in sports turf management at an elite football club. The winning team should 'mostly' be paid on a full-time basis as employees of the club, and work at the stadium and/or training ground. The venue will host paying spectators. Keywords: football, team, professional, premier, league, championship, grounds. This award recognises excellence in the presentation of playing surfaces and green space at any university or college in the UK. 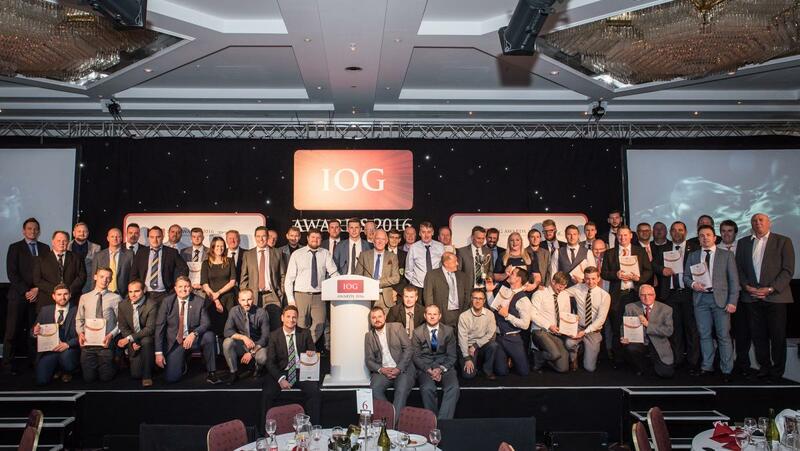 Nominate a grounds team and help the IOG, and the wider grounds management industry, to recognise the effort that goes in to maintaining the facilities at these learning establishments. Keywords: education, establishment, team, sport, grounds. Keywords: education, independent, team, sport, grounds. 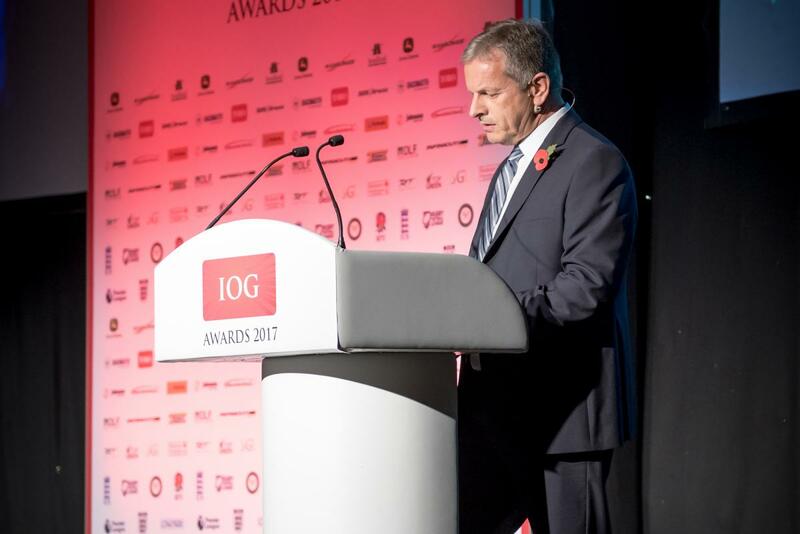 The judges, who are made up of past and present groundspeople, working in both professional and amateur level, will select what they consider to be the outstanding winner across all categories (both volunteer and professional) of IOG awards for the current year. Keywords: individual, team, grassroots, professional, innovator. Note: Nominations are NOT accepted for this category. 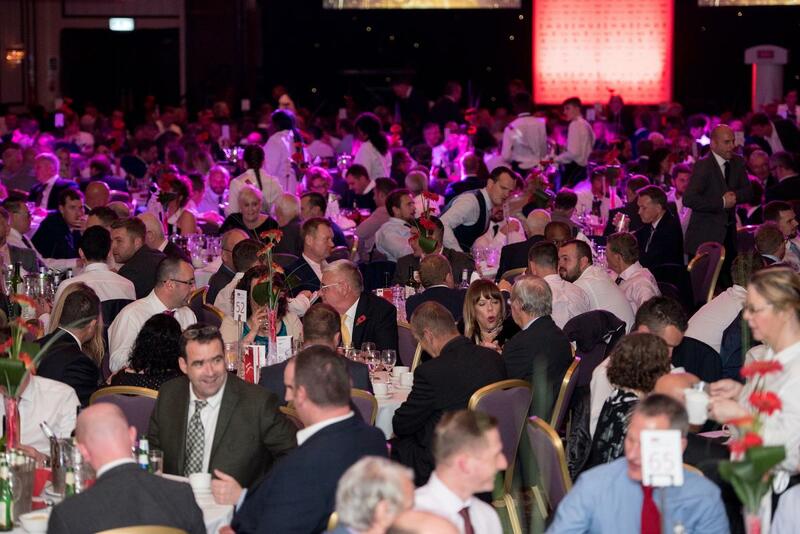 This award honours those who have made an outstanding contribution to the groundscare industry. Keywords: groundscare, contribution, grassroots, professional. Note: The application form for this category is sent to the nominator. *Alex R Millar was national chair of the Institute of Groundsmanship from 1991-1993 and again from 2002 until his passing in 2009. This award has been dedicated to Alex to honour his passion and enthusiasm for the industry. The National Governing Bodies of sport (NGB's), are co-sponsored by the AELTC (All England Lawn Tennis Club), ECB (the England and Wales Cricket Board), The FA (Football Association), the LTA (Lawn Tennis Association), the Premier League, the RFU (Rugby Football Union), the RFL (Rugby Football League) and Sport England. 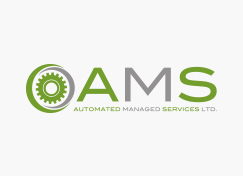 Automated Managed Services Ltd (AMS) is the provider of robotic mowing service solutions for sports fields, pitches, gardens and golf facilities. Our core product the BigMow robot mower is a team player assisting groundskeepers in sustaining a lush healthy turf. It is utilised by 38+ golf clubs across the UK and 800+ football clubs in Europe. An eco-friendly, reliable and affordable alternative to traditional turf care methods, AMS continues to grow as a preferred 21st century maintenance choice. 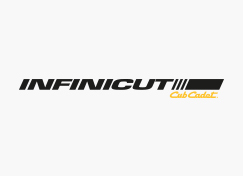 The CubCadet INFINICUT® is a true 21st century mower. Whilst most cylinder mowers owe their design to 40 year old ideas the INFINICUT® has been conceived with today's requirements in mind. It comes in 21", 22", 26", 30" and 34" variants all having a unique floating head mechanism to constantly spread the weight of the machine evenly. They can also switch from hybrid power to pure battery p[ower where massive amounts of savings can be made in a fuel bill. 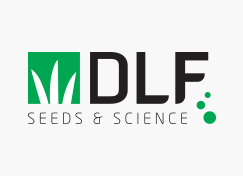 DLF Trifolium is the world’s largest breeder, producer and distributor of grass seed with subsidiaries in every major turf market. DLF focuses closely on the demands of customers and are working continually to improve the quality and performance of all varieties. These varieties are tested through a worldwide trialing network for adaptation to different climatic and environmental conditions. Sport is only as strong as its grass roots! 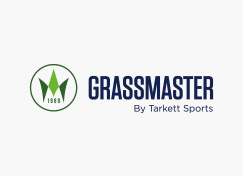 Today, Tarkett Sports continues to lead the sports grass industry, having its stitched reinforced technology, GrassMaster and another, faster technology, called PlayMaster, a carpet-based hybrid grass system that ensures an instant playability. With PlayMaster, Tarkett Sports is dedicated to upholding the same high standards of quality performance for stadiums and training grounds today as it has been for years with GrassMaster. 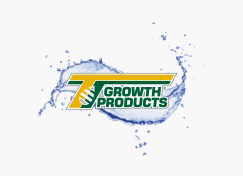 Headquartered in White Plains, New York, Growth Products has been a pioneer in environmentally-friendly bio-innovations, technically advanced liquid fertilisers, micronutrients and effective biological control products designed for sports turf, horticulture and speciality agriculture for over 30 years. Growth Products works exclusively in the UK with the Advance Grass Solutions team, who offer the complete agronomic package to their growing list of premier clients. 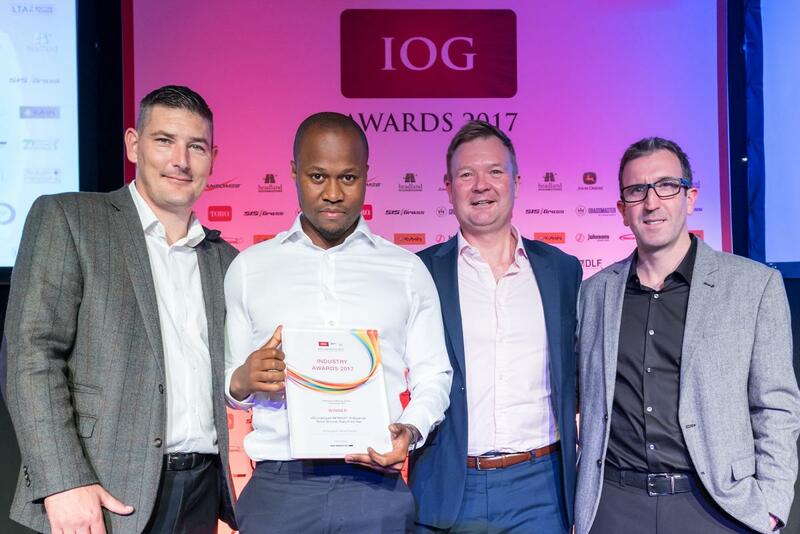 Proud to sponsor the IOG Professional Cricket Grounds Team of the Year Award, Headland Amenity’s range of specialist fertilisers, disease management products, wetting agents and biostimulants are chosen by turf professionals throughout the UK and Europe. 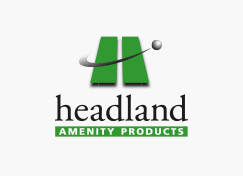 Headland has built a reputation for providing innovative solutions to turf maintenance issues by working closely with groundsmen and greenkeepers to understand their own specific conditions. 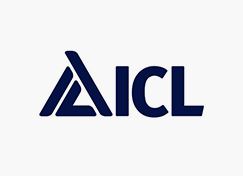 ICL provide speciality fertilizers and nutrition programmes, grass seed, plant protection products and growing media to help meet the demands of modern-day turf and landscape management. We take great pride in the integrity and value of our dynamic world-class product portfolios and in the provision of dedicated technical support. Through continuous research and development, using the best technology available, ICL has an answer to whatever demands you have. In 1837, blacksmith and inventor John Deere had little more than a blacksmith shop, a piece of discarded polished steel and an idea that would help farmers change the face of agriculture for all time. 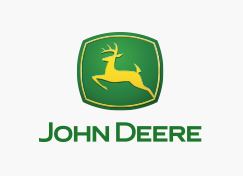 Today John Deere supplies equipment to many organisations in horseracing, including Arena Racing Company, Jockey Club Estates and Jockey Club Racecourses. 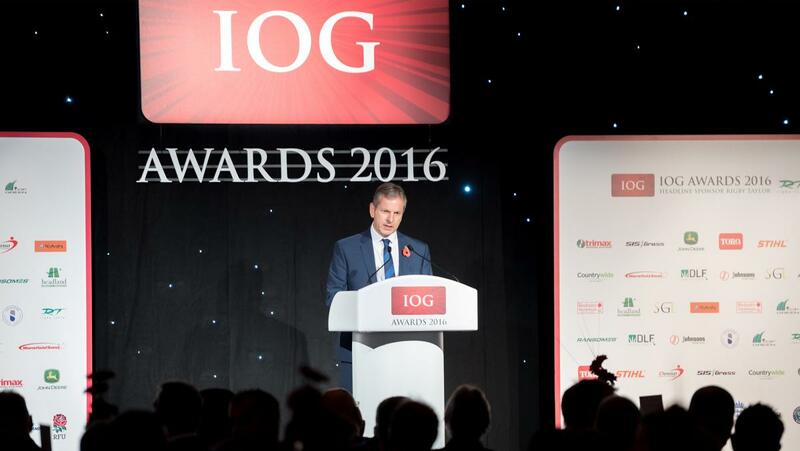 The company is delighted to support the IOG and the Awards, recognising the key role that groundsmen play. A dedicated sports turf seed range, combining market leading cultivars and innovative seed coating technology. 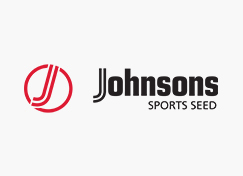 For more than 190 years, Johnsons Sports Seed mixtures have been helping to produce quality sports turf with an unequalled reputation for technical excellence, performance and seed quality, reflecting the standards set by the people who use them - men and women who lead the way in sports turf management. 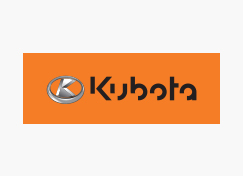 Kubota is a market leading manufacturer of groundcare equipment, boasting a comprehensive product range of ride-on mowers, sub-compact, compact and mid-range tractors as well as diesel and petrol utility vehicles. The company leads the way in groundcare machinery excellence, producing solutions that deliver outstanding power, performance and excellent reliability. This is thanks in part to some unique product innovations, such as Kubota’s Bi-Speed turn feature, which has contributed to further penetration in its core sectors. Ransomes has produced mowers for fine turf since Edwin Budding released the patent for his remarkable invention back in 1832. To this day, over 180 years later, the company is still manufacturing British made mowers at its European headquarters in Ipswich. From prestigious sporting arenas, to the World Cup, for more than a century, the most important turf in the world has been manicured by Ransomes. This sponsor is renowned for manufacturing high-quality innovative sports turf machinery for both natural and synthetic turf. Its range of machines has grown steadily over the past 30 years into the extensive range it has on offer today. Whether it is the simplest of drag brushes for synthetic turf or the largest of Verti-Drains for natural turf, it has the solution to many requirements. 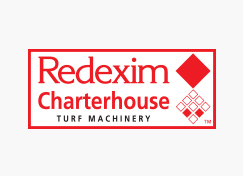 Redexim Charterhouse is also the sole machinery supplier for the FA’s Pitch Improvement Programme. 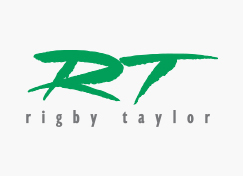 Rigby Taylor is a leading supplier of innovative products and services for the installation, maintenance and improvement of UK sports surfaces. The company is a major supporter of industry initiatives at both professional and grassroots level, providing funding for education, training and sponsorship, closely working with turf management professionals." SCH Supplies has been designing a large selection of natural and synthetic lawn-care machinery and attachments for the sports and leisure market since 1986, so sports facility managers can find all the machinery they need under one roof. The company’s products appeal to those who want to take delivery of ready built, robust items which will last for many years. And with such a low staff turnover, the company offers a great breadth of knowledge - from people who are proud to be part of a British manufacturing success story. SGL offers a complete pitch management system, for natural grass to grow in any stadium under any possible condition and playing schedule, whereby the natural grass experience for professional sports is preserved and pitch usage can be increased. Revolutionary technology and a unique approach and commitment ensure that the promised quality is always delivered. 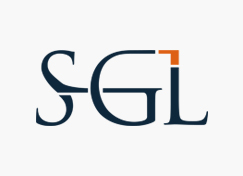 The SGL system has been implemented by many high-rated clubs and stadiums worldwide. SISGrass installed pitches into six out of 12 World Cup 2018 stadia. The company offers an advanced hybrid turf system with patented fibre injection technology. Featuring increased surface stability and a faster recovery than natural grass surfaces, SISGrass hybrid turf is suitable for football, rugby, golf, cricket and more. 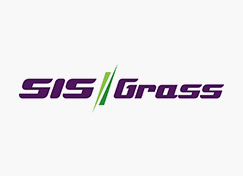 Combining speed, mobility and laser precision, SIS Pitches’ game-changing pitch system - SISGrass Universal - is the latest addition to the company’s award-winning technology. Syngenta produces world leading turf management products, designed to improve turf quality and enhance the playing experience. 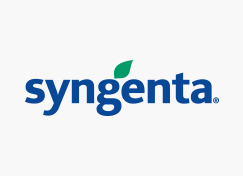 Syngenta invests $1.3 bn a year in R&D of proven products, which include high performance turf fungicides; quality enhancing and cost-saving Primo Maxx II growth regulator; the innovative Ryder turf pigment and the outstanding water conservation and wetting agent, Qualibra. All products are formulated specifically for use in turf, as well as being backed with the company’s renowned reliability to consistently deliver exceptional results. 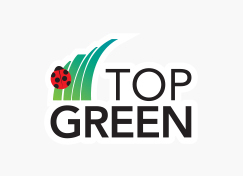 Top Green grass seed partnership provides new innovative seed mixtures that have been introduced to the industry, featuring top performing cultivars. Such mixtures contain the exciting tetraploid cultivars and place this seed partnership at the forefront of the industry by creating mixtures that reduce costs, establish more quickly, can cope with cold conditions, shade, drought and are more disease tolerant. 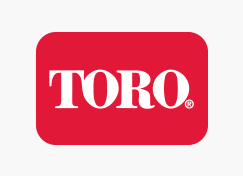 Toro has been helping customers maintain sports venues, golf courses, amenity venues, public green spaces and commercial landscaping to the very highest of standards for over a century. Its UK distributor Reesink Turfcare supplies Toro machinery and irrigation to some of the country’s most iconic venues, from St Andrews Links and Manchester United Football Club, to the Kia Oval. Put simply, there’s never been a better time to invest in the very best. What does the awards involve? 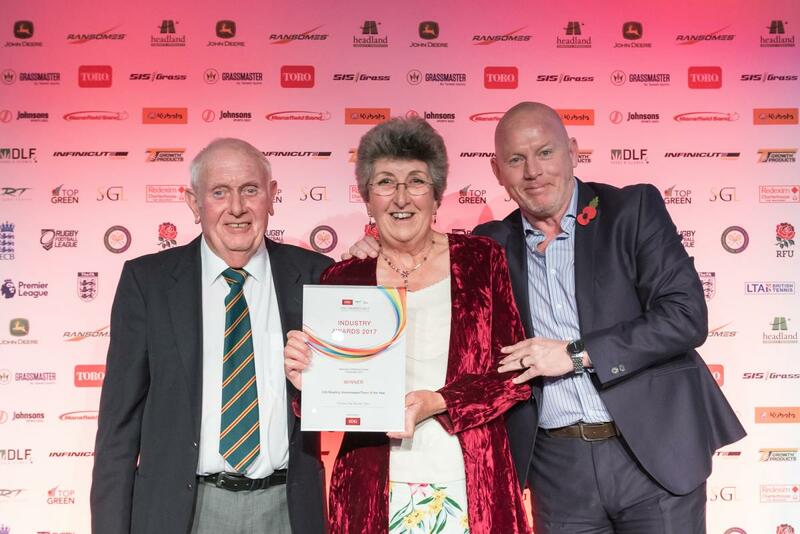 Now an integral part of the Sport Amenities Landscaping Trade Exhibition (SALTEX), based at the NEC near Birmingham, the IOG Industry Awards have recognised excellence in groundscare across the professional, amateur and voluntary sports sectors for more than 10 consecutive years. 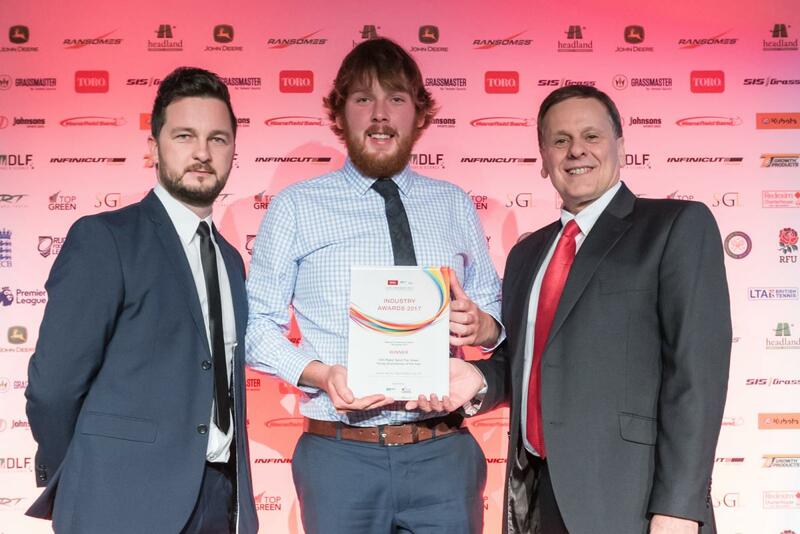 Awards categories cover all of the major sports – from professional stadia to grassroots level - and also salute students, volunteers, innovators and lifetime contributors to turfcare. 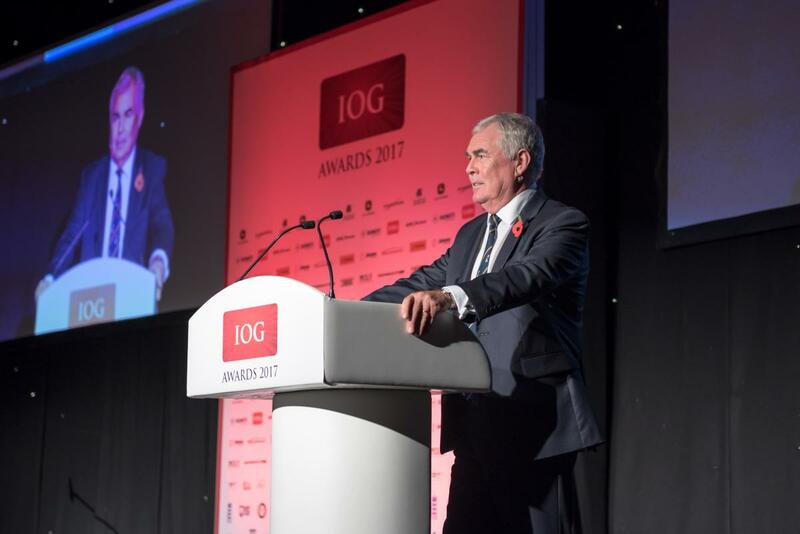 Thanks to a high-profile and wide-reaching promotions campaign, the IOG Industry Awards ceremony brings together around many of the UK and Europe’s leading practitioners and suppliers to pay tribute to the very best. The event is also attended and covered by specialist and national media. Why should I consider sponsorship? 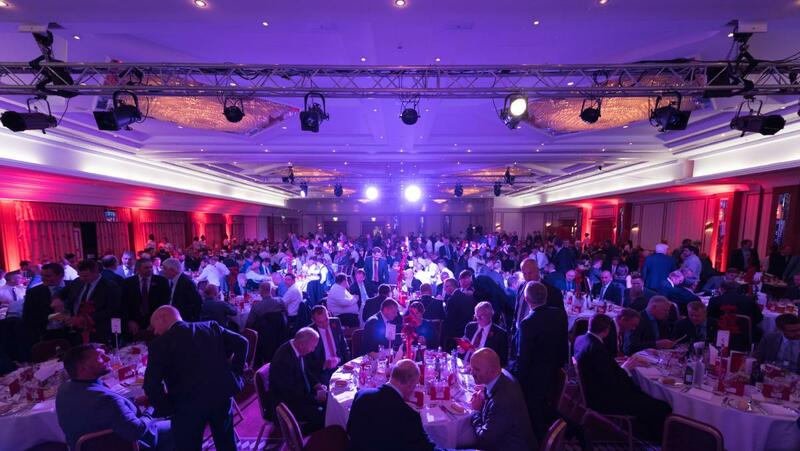 This year we're celebrating the 11th annual Awards anniversary, at The Vox, in Resorts World in the NEC complex near Birmingham. 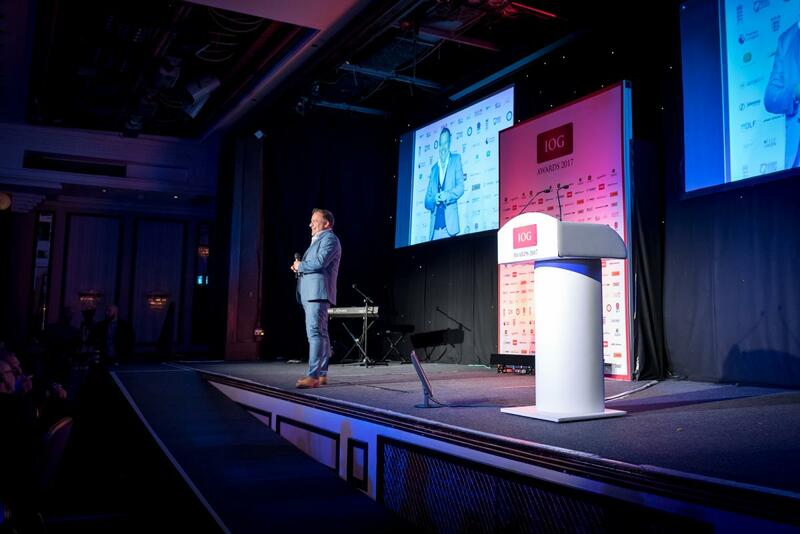 Supported by an effective and enhanced marcomms campaign, sponsorship of an award category is a cost-effective way to elevate your brand profile and demonstrate your support for the best end-users in the business. In addition to the opportunities at the presentation itself, boost impressions, traffic and conversions – get noticed online and offline – prior, during and after the event. To find out more about how your company can benefit from taking part, contact Karen Maxwell, the IOG Head of Member Services - Communications & Events. Email kmaxwell@iog.org, or call 07866 736597.